A traditional gloss white concealed bottom outlet close coupled WC with a push button cistern. Ideal for bathrooms where the waste outlet exits the floor. This WC features Nanoglaze which is a unique coating used within the production process to create an ultra-smooth ceramic surface making them exceptionally easy to keep clean. 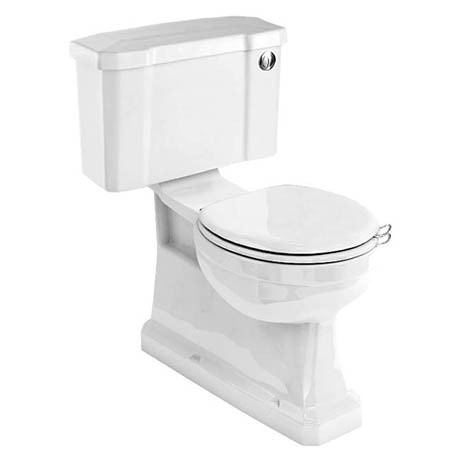 All Burlington WC fittings are WRAS approved and factory set at 3L and 6L flush. They can be adjusted on site to flush at 2½L and 4½L. Burlington offer a 25 year guarantee on all their sanitaryware.